While the rest of us may be finishing off the last of the Halloween candy, Dr. Lisa Gillespie ’88 already has her Christmas tree — make that “trees” — up and her collection of black Santas unpacked. Soon she’ll start baking her special pecan pies to give to friends. It’s likely she finished her Christmas shopping weeks ago. Organized, hard-working, generous. You’d think from all Lisa accomplishes in her off hours, she must have few work pressures to deal with. Yet not only has she risen steadily in her career to the point that she is chief medical officer at the hospital in Conyers, Ga., where she began as a staff physician, she devotes a considerable amount of her time after work to running and staffing a free clinic for folks who can’t afford conventional medical care. And she does it as a volunteer. Lisa hails from Raeford, where she lived with her grandparents until she left home after the 10th grade to attend the N.C. School of Science and Math. She came to Carolina as a Morehead Scholar and was tapped for the N.C. Fellows program, too. “Carolina is a place where the underprivileged can come and interact with the most privileged and never feel different,” she said. was ready to start her career officially, she looked for another small town close to a larger city, similar to her hometown and her second home of Chapel Hill. She found what she was looking for at Rockdale Medical Center in Conyers, outside of Atlanta. She settled in to make a difference in the community she now calls home. Lisa began volunteering as a physician at the Wayne E. Kerr Clinic, serving patients not covered by insurance who had no access to traditional health care. She served as the clinic’s medical director for five years until it had to close for lack of funding. She immediately began working to open another free clinic, Mercy Heart Clinic, serving as its medical director and after-hours physician once a week for the first year. She also serves on the board of the Metro Atlanta Boys & Girls Club. Her colleagues took note of her skill as a physician. So did her patients. Lisa rarely walks down a hallway in the hospital without a grateful former patient giving her a hug or maybe dropping off a loaf of freshly baked bread. She listens intently to her patients and connects with them deeply, crying with them when she has to deliver devastating news. She never stops putting the patient first. While she waited for the bus to depart that would take her, on a rare day off, on a white-water rafting trip, another traveler exhibited symptoms of a stroke. Lisa cared for the woman until the ambulance arrived, and chose to accompany her to the hospital instead of continuing on with the trip. Lisa organized a hospitalist group — physicians responsible for treating patients in the hospital — freeing outpatient physicians from making hospital rounds, and grew it from three physicians to 10 as its medical director. 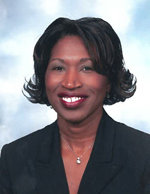 Last year, she was named Rockdale’s chief medical officer. Rockdale Medical Center, Deborah Armstrong, has noticed Lisa’s allegiance to Carolina. “Lisa pretty much bleeds that blue color,” Deborah said.